Please join us on the NFBPWC 100 Year Celebration Cruise! 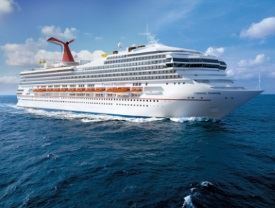 5-night cruise on the Carnival Sunrise departing November 2-7, 2019 from Ft. Lauderdale, Florida to Bahamas, Turks, and Caicos Islands. I look forward to seeing you onboard! Interior Cabin: $449.52 ($324 plus taxes) per person based on double occupancy. Oceanview: $517.52 ($392 plus taxes) per person based on double occupancy. Balcony: $672.52 ($547 plus taxes) per person based on double occupancy. Suites available upon request, go to the website and call the cruise line directly. Hotel, travel, and registration information coming soon! 25 Oct 2018 NFBPWC Virtual: Election FYI: Midterms, Proposals, Governors, Oh My!